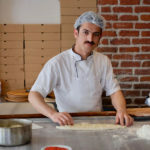 Dönerci Osman Kuri rebuffed our first attempt at a chat during the tail end of one busy Saturday lunch rush, but said he would consider sharing his secrets if we came back in the evening. “If you can find me,” he added rather ominously, accelerating our already piqued interest. 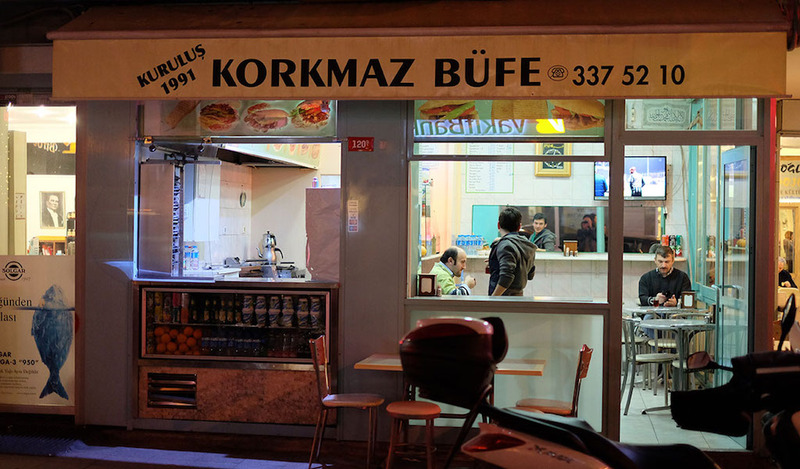 By the time we returned, the döner was long gone and Kuri had thoroughly scrubbed the apparatus upon which it gently rotates. 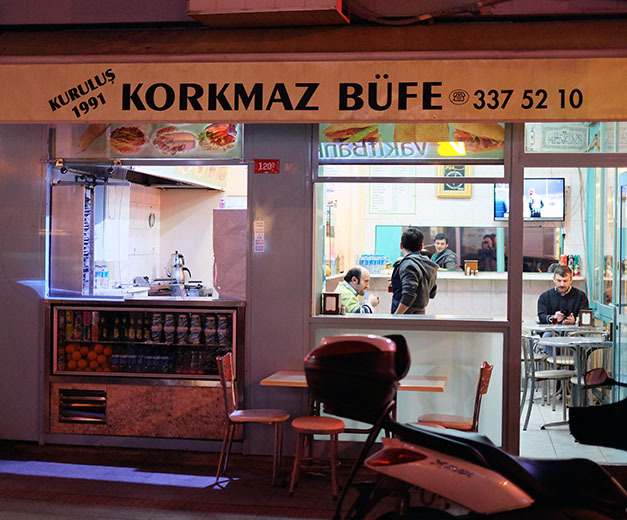 The 42-year old Kuri, who hails from the Black Sea province of Rize, has manned the döner at Korkmaz Büfe for 15 years, after previously working in the kitchen of a bar at the marina in the city’s European seaside district of Bakırköy. Kuri and another mustachioed gentleman can be found slicing away daily with the utmost care and precision. 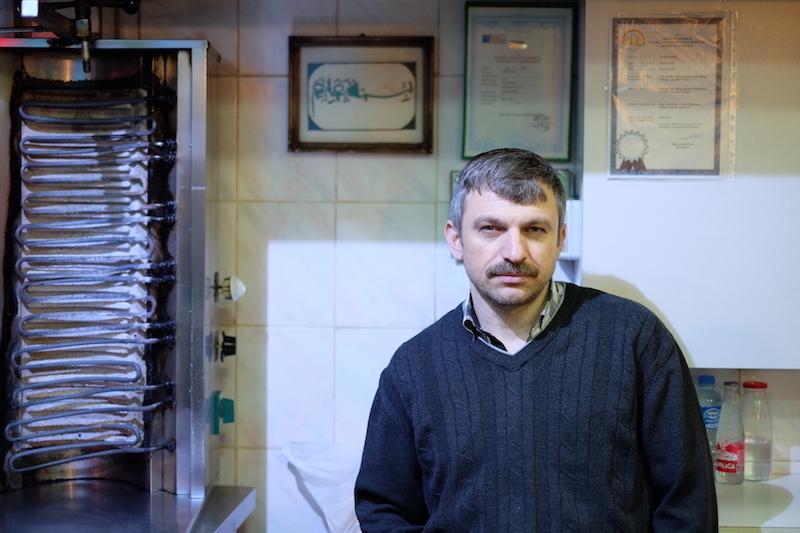 Kuri gets up at the crack of dawn and purchases his cuts from Yalçındağ, a butcher shop that has been open in different locations since 1938 and is currently located nearby in Kadıköy’s fish market. 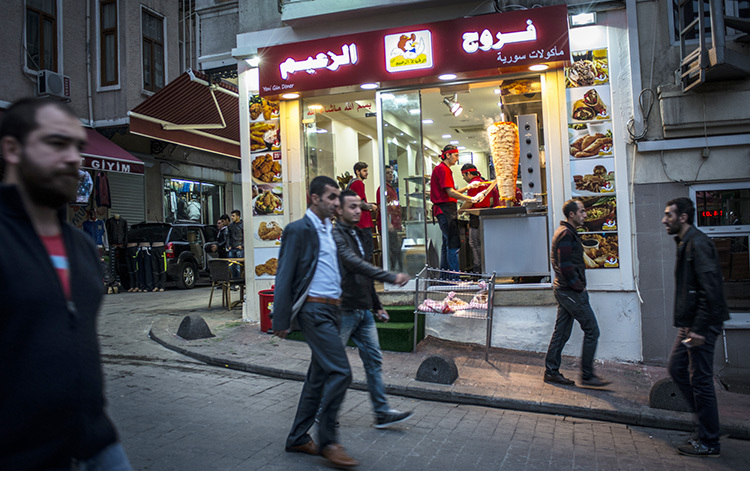 He cuts the meat himself, marinates it in a simple mix of milk, onions and salt, and packs on the fillets one by one on the döner stand, which starts turning by 11 a.m. On busy days, the döner is gone by 3:30 (Korkmaz serves köfte, tost and the like after they run out of döner). 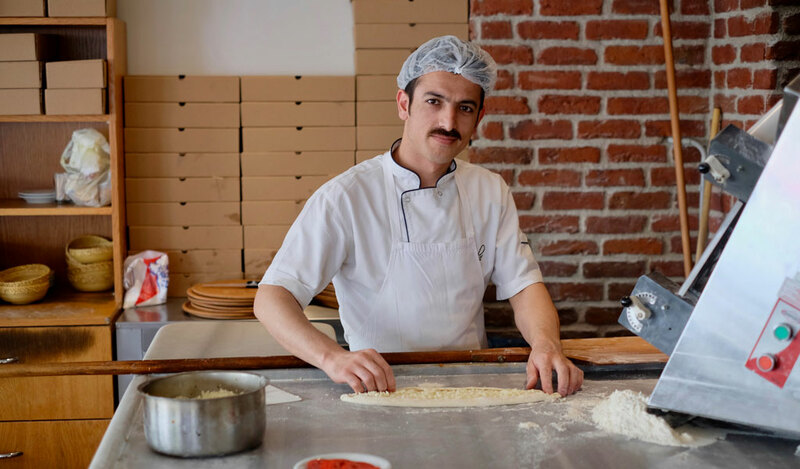 Kuri and another mustachioed gentleman can be found slicing away daily with the utmost care and precision. They are the masters of their craft and take it quite seriously, neglecting their own well-being in the process. “My eyes don’t see so well. I need to go to an optometrist but I’ve got no time!” Kuri lamented. 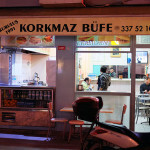 Though “delicate” and “graceful” may not be the first words that come to mind when we’re waxing poetic on döner, Kuri’s masterpiece at Korkmaz Büfe deserves them. 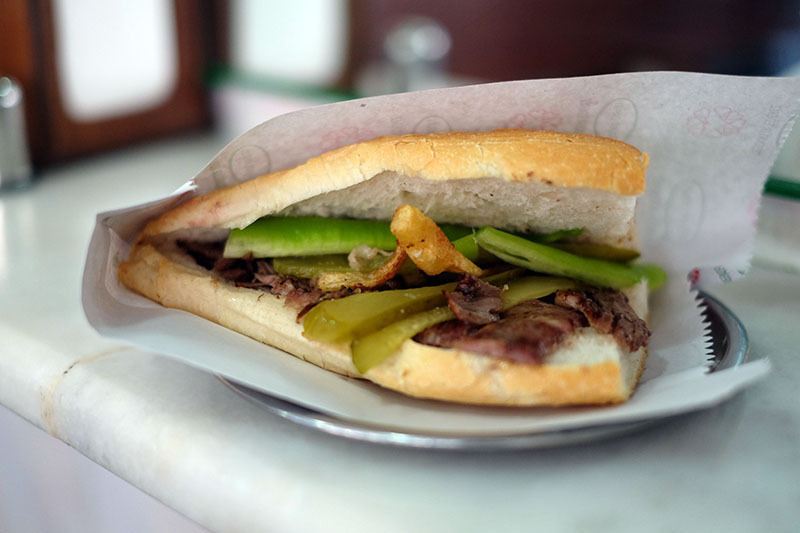 We’ve been rebuked for putting mayonnaise on ours, and this exceptional meat should indeed shine on its own sans sauce of any kind, in a half loaf of bread with tomatoes, reasonably soggy French fries (an indisputable requirement for döner in Turkey) and sliced green peppers. 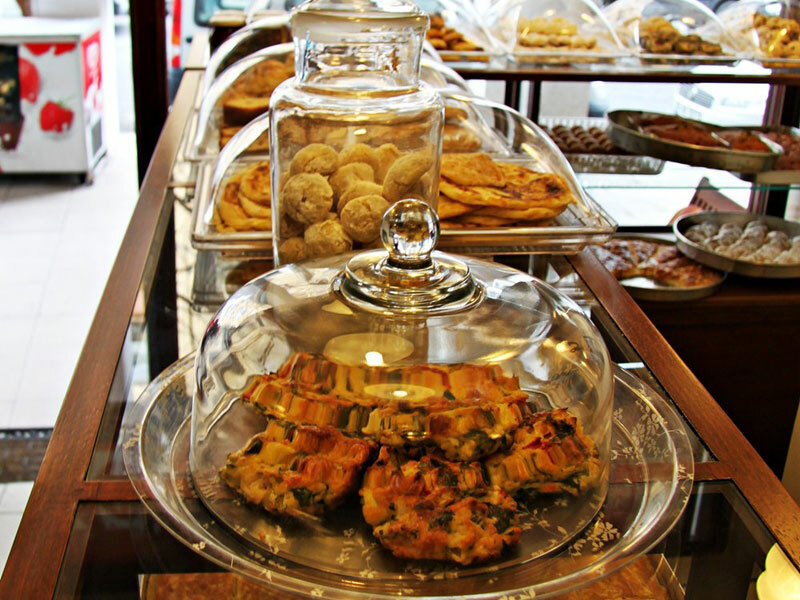 Squeezed in on a street with more new cafés than can be counted on two sets of hands, Korkmaz Büfe enjoys its status as a neighborhood institution and, thankfully, isn’t going anywhere anytime soon. But Kuri isn’t happy about the rapid changes in the area. “The opening of the metro ruined this place. 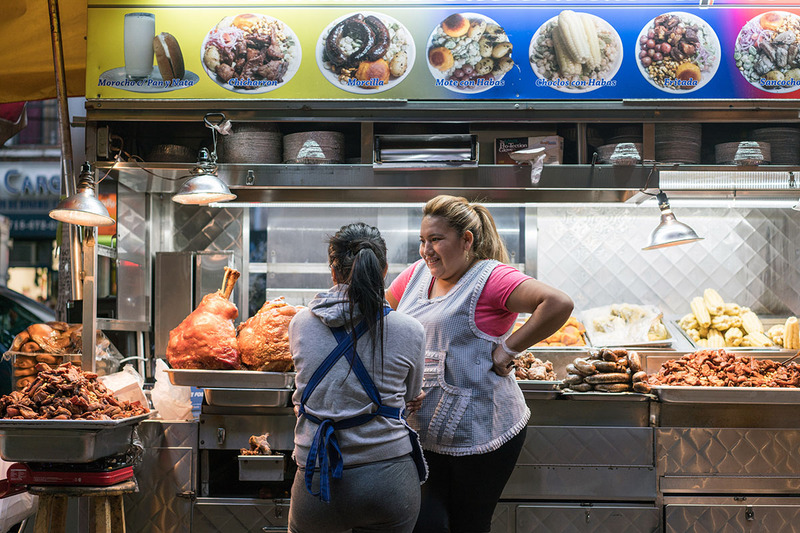 You can’t find the old Moda anymore,” he said, referring to the transit line that opened in 2012 and probably helped the district’s popularity, in the process contributing to the swelling rents. “That requires learning, and I’m too old now,” Kuri said when we asked him if he ever thought about switching sectors. 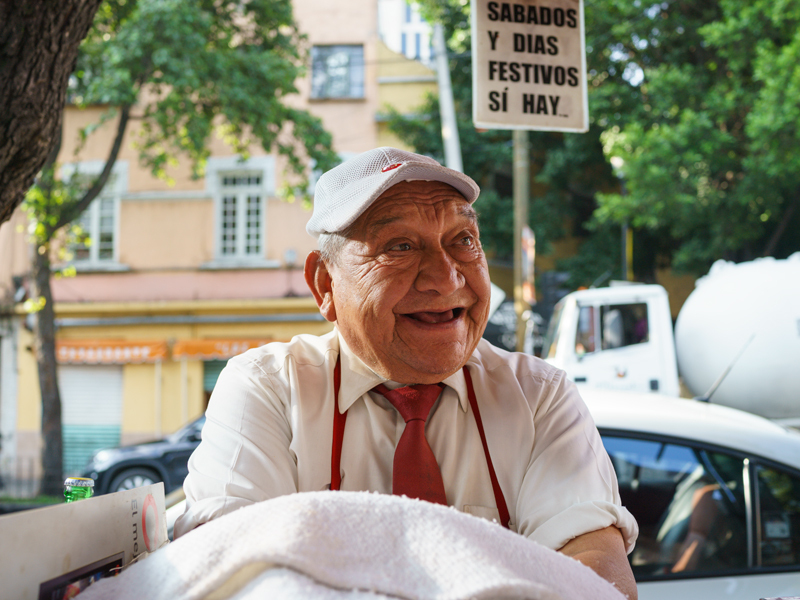 We’re relieved that he plans to keep doing what he does so well, ensuring a modicum of authenticity and character in a neighborhood in danger of losing both. This story was originally published on February 1, 2016.